Sisters of Mercy reside at Mercy Convent. They offer hospitality to groups who seek a place away to gather in an atmosphere of quiet simplicity. Whether it is a time for quiet reflection or building a sense of community, Mercy Convent offers a serene environment for group gatherings. 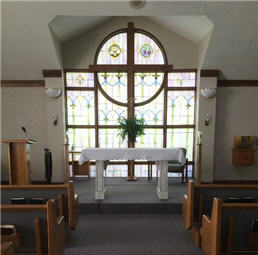 Simple furnishings allow for private contemplation in chapels. Single rooms with private bathrooms are available for overnight guests. 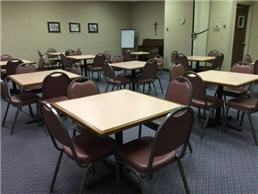 There is access to a large conference room, smaller meeting areas and a dining room. 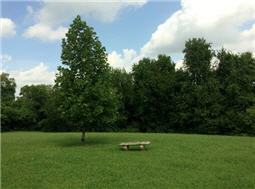 Yards surrounded by woods provide for reflection and prayer. WiFi and handicapped access are available.